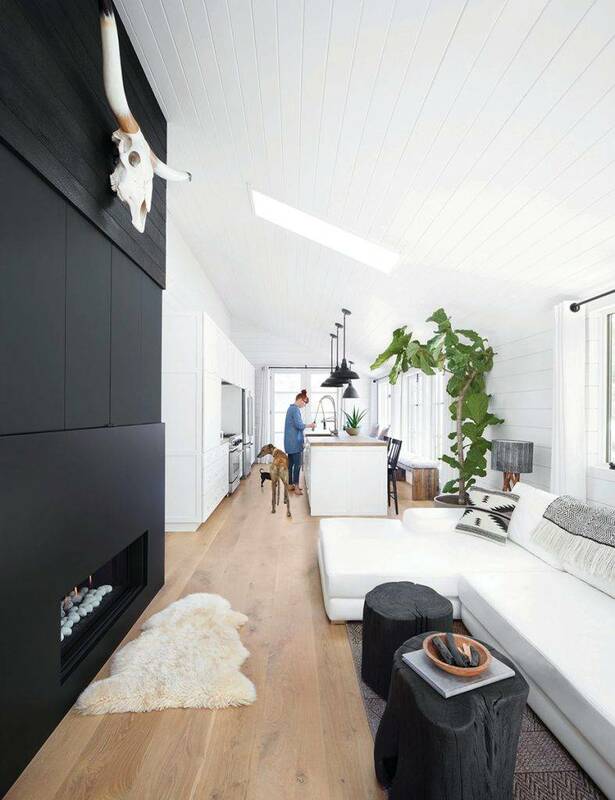 Living small is redefining the Canadian dream home. Instead of cluttering up small rooms, seek out storage in hidden places, such as under the bed. Furniture with room underneath, such as side tables, creates the illusion of more space. Sarah Susanka believes your home should fit like a well-tailored suit — not a sack. It’s a belief shared by many drawn to the allure of small-space living. Whether inspired by downsizing, environmental considerations, affordability or a desire for the modern-micro style, “living small” is increasing in popularity on the West Coast. As more look to the appeal of small-space lifestyles, many are redefining their dreams of the traditional Canadian home. “Growing up in England, I was always amazed that houses in North America had so much space — yet everyone still ‘lived’ in the kitchen,” says Susanka, a U.S.-based architect and author of the ever-popular The Not So Big House series of books. The concept of shrinking our living space may not be revolutionary — it’s common practice around the globe — but it’s gaining traction in cities like Victoria where it makes economical and lifestyle sense. Susanka, who is credited with promoting a new understanding about how we inhabit our homes, our planet and our lives, is quick to point out that “living small” doesn’t have to mean being in a tiny house: it means not living as big as you thought you needed to, and designing your living container to perfectly suit you. In this narrow space, the dominance of white creates a feeling of airy spaciousness. Accents are kept to charcoal and black to prevent visual clutter. Small units in Victoria range from microscopic 270-square-foot pads to condos of just over 1,000 square feet, depending on the area. David Adelman, owner of Parc Modern Interiors, specializes in outfitting these small spaces. Adelman says scale is as important as reducing items. A traditional 95-inch sofa with a big arm will bury a tiny living area, but a condo-scaled, 75-inch lounge with a thin arm will make the room look open, while providing the same seating. Versatility is a principle of working with small areas. Flexible furniture that can transform from an ottoman and chair to a lounge or a bed is crucial for downsizing while keeping functionality. In its Vancouver showroom, Resource Furniture features apartment-sized convertible pieces meant to add storage or function. When it comes to creating your small home, Luxe Home Interiors designer Janine Lange says people often make the mistake of placing functionality over design. Lange has simple tricks for enhancing the flow and spaciousness of a small home. First, integrate as many light and neutral colours as possible, especially with walls and ceilings. Bright floors and upholstery will help build dimension to a space, and make the parameters feel expansive. Light is important too. Lange recommends keeping windows unobstructed, using mirrors to reflect outdoor lighting and selecting pendant lamps, pot lights or accessory lamps that will brighten and enhance openness. Don’t be tricked into miniaturizing your world. Lange says people often think they need to put tiny things in a small space, but while appropriately scaled furniture can be an asset, average-sized area rugs or large lamps can help a room feel well put together. She does recommend elevation and leaving “white space” when possible — floating tables, vanities or bathtubs off the floor can give that illusion. Lange also encourages people to use glass when possible, and to choose oval or round shapes rather than squared items — visually, your eye will flow better around curves, she says. Finally, Lange says pair down the clutter. Be conscious of what you surround yourself with, rather than decorating for the sake of it. 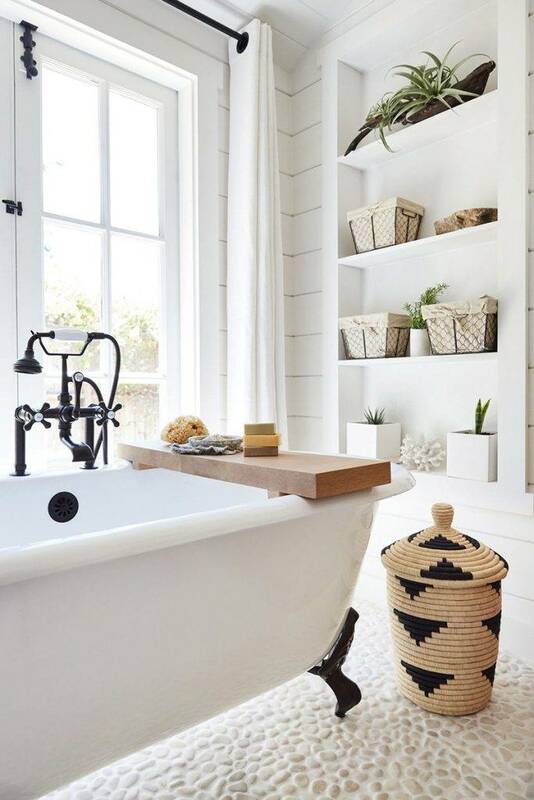 No need to sacrifice style in a small bathroom. Choosing a low-contrast colour scheme enhances the feeling of airiness. Here, the tub, tiles, shelves and flooring are close in colour value, which gives the room a serene effect. Eco designer JC Scott is one of Victoria’s biggest advocates for small spaces. He’s known for his work designing small Chinatown studios, and urges people to follow the “do more with less” principle: for the environment, economy and our well being. The more work you put into finding what you really like, he says, the more success you have. Scott’s “must-do” list for considering small is simple: be honest with yourself. Decide what you absolutely need and want, then seek it out. The more you can imagine being in your ideal space, the more satisfied you’ll be when you find it. But, he cautions, don’t overstretch yourself.